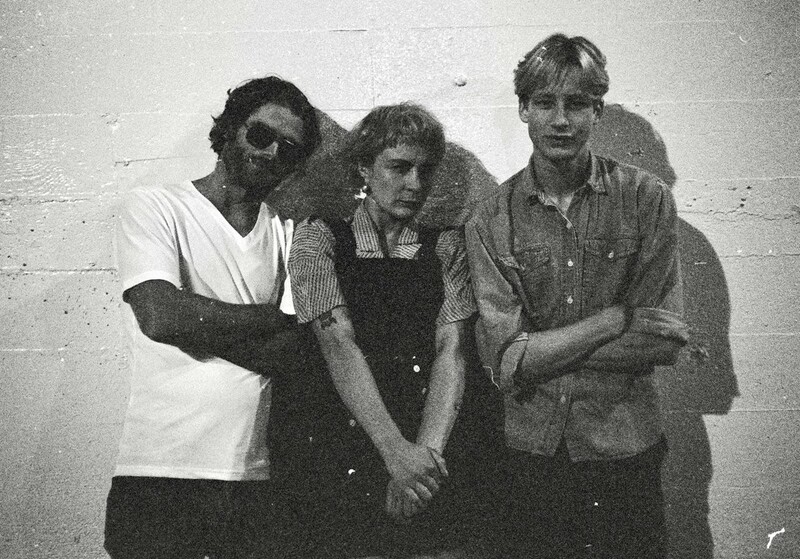 A blend of bands CC Dust and Trans FX, Olympia-based outfit CCFX have released their debut self-titled EP (prizes for anyone that can guess where that name came from). Taking the retro synth production of CC Dust and the drum elements Trans FX, CCFX seem a perfect harmony of the two acts; forming a much more cohesive and listenable experience than the individual projects. CCFX’s single ‘The One to Wait’ in particular is definitely one of autumn’s finer releases; aptly matching the summer comedown as the nights pull in. 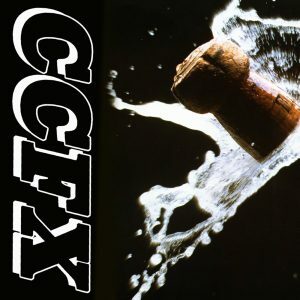 The sound from the EP does not stray too far from the turf of CCFX’s predecessors, and there is clearly a massive influence from an 80’s/90’s cold-wave and new-wave sound. However, the act handle this with an original flare that sufficiently distances them from excessive outside comparisons. ‘The One to Wait’ opens with a shapeless and lightly phased pad synthesiser controlled by the bass stabs of David Jacques. Pulling the mix out of this ooze of formless synths, a bright, delay-saturated guitar cascades over the track, bouncing playfully against it. Under this melody is juxtaposed a dance breakbeat loop, which appears as an overhang of Trans FX latest efforts on Gaslit, and drives the track into an agreeable mixture of being peculiarly energetic, yet melancholic in melody. Even down to the EP’s cover, this juxtaposition is present with a suggestion of an energetic celebration, with the mid-flight champagne cork countered against a blank black backdrop. Mary Jane Dunphe’s vocals jar powerfully across the instrumental as she opens lamenting that ‘The choice was made for me / No, I don’t know when to leave.’ She places us right in the midst of her personal conflict; the dilemma of leaving a partner. We assume that a partner proved unfaithful as the ‘choice was made for’ her, but she does not know when it is appropriate to leave. Matching the contrasting positioning of the energetic drum loops against the mournful melody, Dunphe reveals that she too is in the liminal stages between leaving and staying. She heart-wrenchingly professes in the chorus that ‘you know that I will miss you / But I’m still in everything / And you’re easy to come back to / But it’s much more work to leave’. She knows that she should leave, but is dragged back by either the love of her partner or the comfort of having a partner, which makes it ‘much more work to leave’. She at times almost pleas to the listener, asking ‘Is it right to leave?’, as she attempts to assert control by trying to assure to herself that it ‘Never gets too late / Oh, you’ll be the one to wait’. Her vocal delivery, too, thoroughly embellishes this, mainly delivered in an authoritative alto, she often ascends into a controlled warbling soprano which seems to reflect an exhausted submission to her emotions. As the track winds down, so too do her vocals, which slowly fade out claiming that ‘you’ll be the one to wait’; affecting an insincerity suggesting that she does not really believe what she is saying. The highlight of the track is without a doubt both Dunphe’s arresting and emotive vocals, and her evocative lyricism. The vocals, in particular, are at times closely reminiscent of Bjork’s controlled, yet seemingly uncontrolled, whines on ‘Human Behaviour’. Hopefully we shall see a more concentrated focus from super-group CCFX with releases in a similar bittersweet vein.